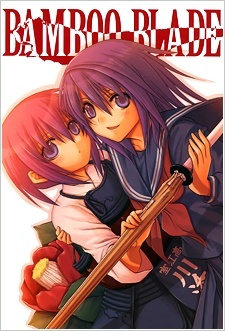 Kojiro is an impoverished young teacher and the supervisor of his high school’s kendo club. He doesn’t have the leeway to spend time on his students–he can barely feed himself as it is. So when an old friend makes him a bet with an entire year’s worth of deluxe sushi on the line, Kojiro finds a new purpose in life: to beat his friend’s kendo team! But before he can arrange a kendo meet for both schools’ kendo teams, he needs to actually put together a five-woman squad–and the first girl he needs is Tamaki Kawazoe, kendo athlete extraordinaire and daughter of an elite kendo dojo master. The problem is, she isn’t really interested in doing kendo for fun. What can Kojiro do to convince her to join the team? Note: Originally published with 117 chapters, but was collected into 102 chapters in the tankoubons. There are also 5 special stories, which makes the total chapter count - 107.